ATV Trailer For Sale | T.P. Trailers, Inc.
Ready for some off-road fun? Our ATV trailers can take you and your ATV wherever you want to go! The ATV trailers offered at T.P. 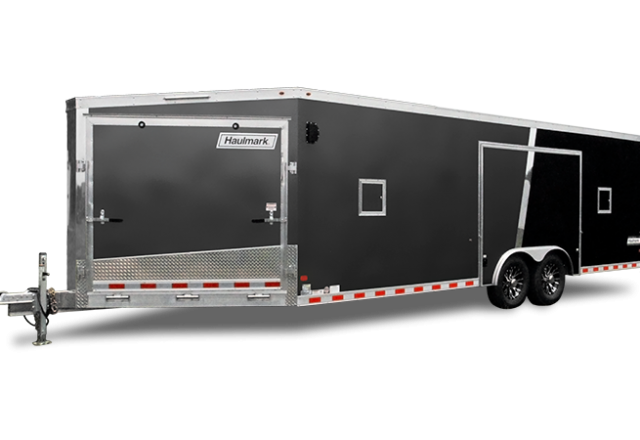 Trailers offer a variety of features and options such as aluminum and steel construction that can fit a multitude of different recreational vehicles. Stop by today and browse our selection of ATV trailers for sale. 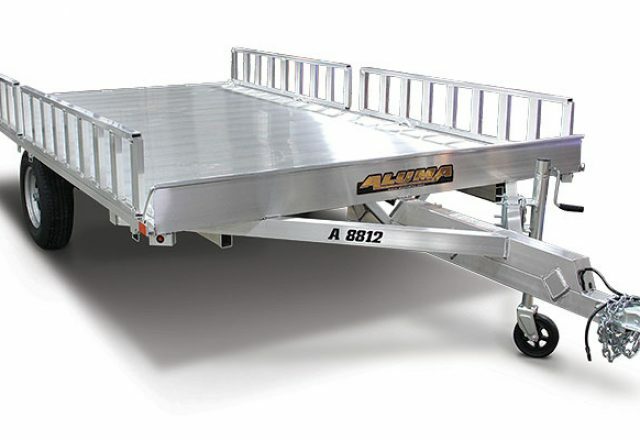 When you are in the market for high quality ATV Trailers, Aluma is your one-stop shop! We have it all at affordable prices that can’t be beat. With options and features such as LED lights, aluminum wheels and extruded aluminum floors, Aluma offers quality and value in their products. See for yourself why Aluma ATV are the best of the best. Premier takes a different approach to ATV trailers by creating a versatile trailer that can be used for lawn mowers and recreational vehicles! Stop by today to view our in-stock inventory and check out the value Premier offers in their trailers. 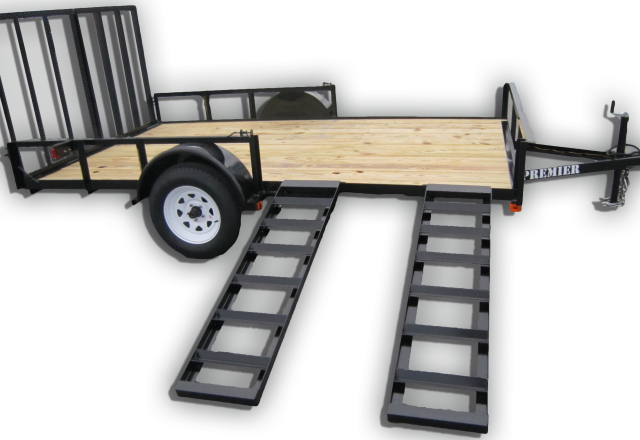 With plywood or mesh floors, and optional aluminum ramps, Car Mate can help you get the best ATV trailer for your needs. 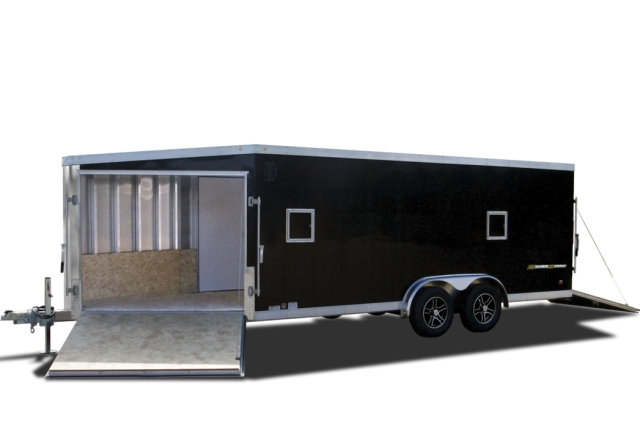 Discover their manufacturing excellence with the trailer that works for you from Car Mate! The Wells Cargo SilverSport In-Line Snowmobile/ATV Trailer is designed to efficiently and effectively transport your snowmobiles & ATV’s. Aligned in a row from front to back, the In-Line model allows for quick getaways and streamlined towing. We know it ‘s against your nature to get in line. You much prefer leading the pack for some off-road fun! 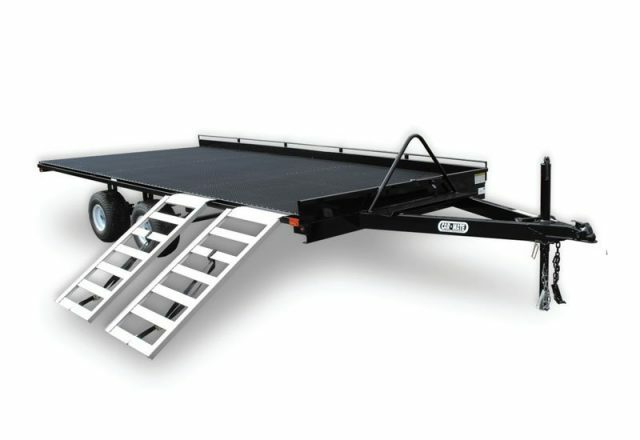 However, in the case of the Haulmark ALX In-Line Snowmobile/ATV trailer, it makes perfect sense — your Equipment is arranged in a row, front to back, for quick getaways and for more streamlined towing. The industry leading 7.5’ body width provides an extra roomy 83.5” between wheel boxes. Arrive in style!